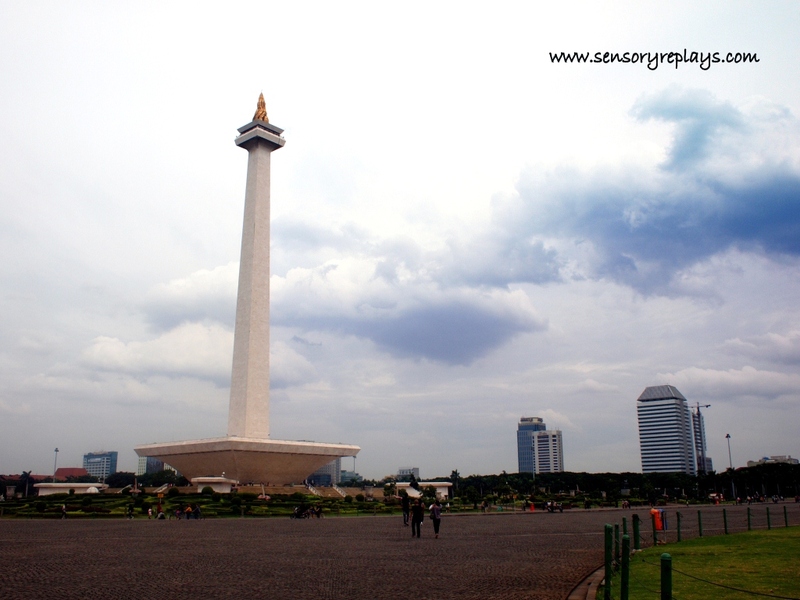 after my visit to the museum, i walked for a few minutes going to the national monument of indonesia, monumen nasional. 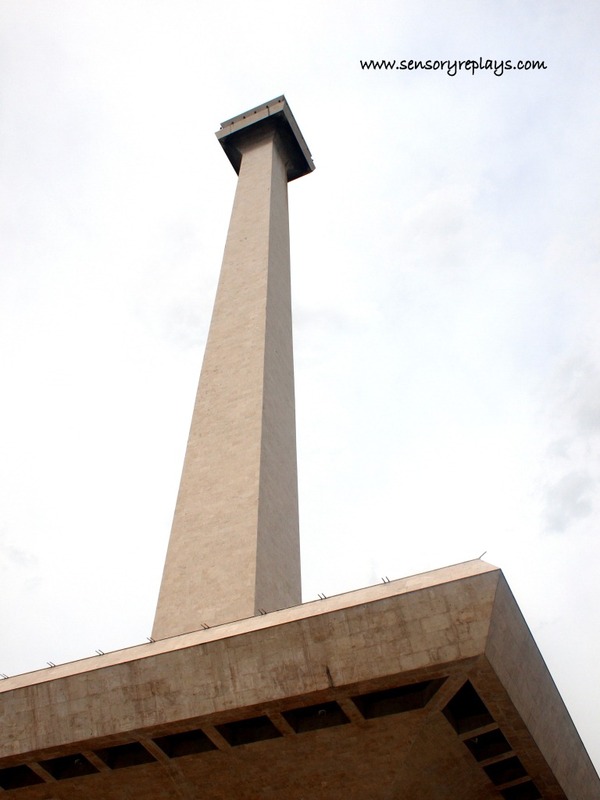 it is an obelisk-type monument that stands 433 feet and sits in the center of merdeka square, an area in central jakarta surrounded by government buidings. 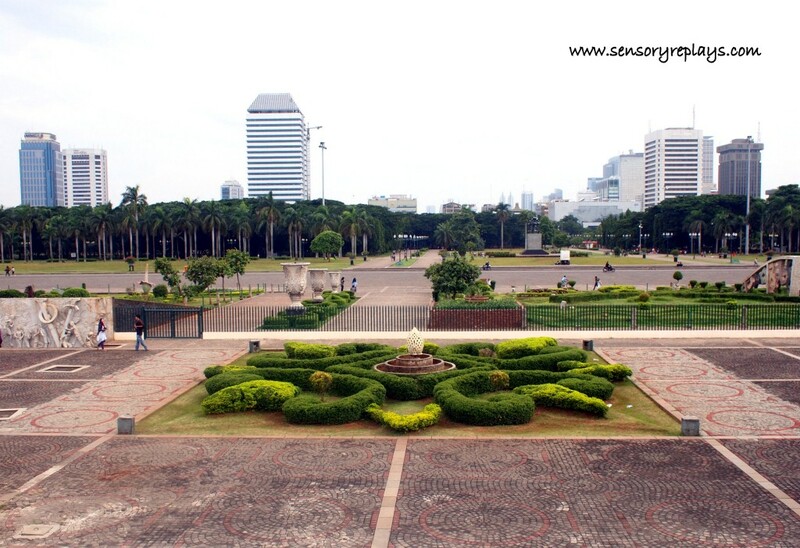 the monument is the symbol of the country’s fight for independence. 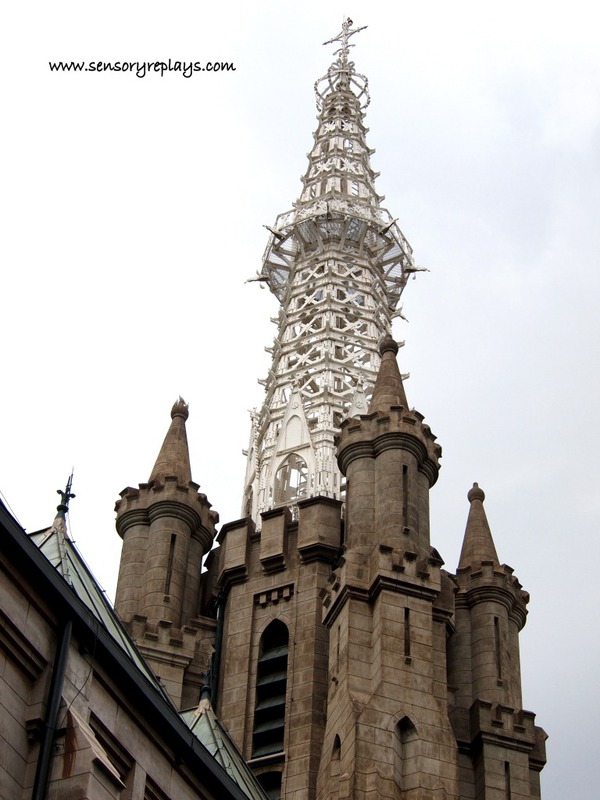 at the top of the structure represents a flame, weighing 14.5 ton called as the flame of independence, which is covered by 50 kilogram of real gold foil. 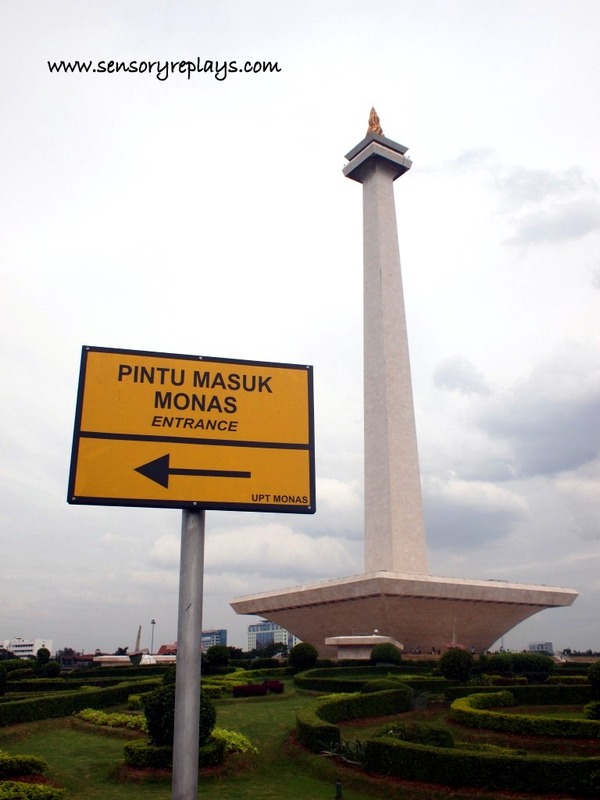 there is an underground passageway that leads up to the base of the monument, where you have to pay an entrance fee. inside is the national history museum. 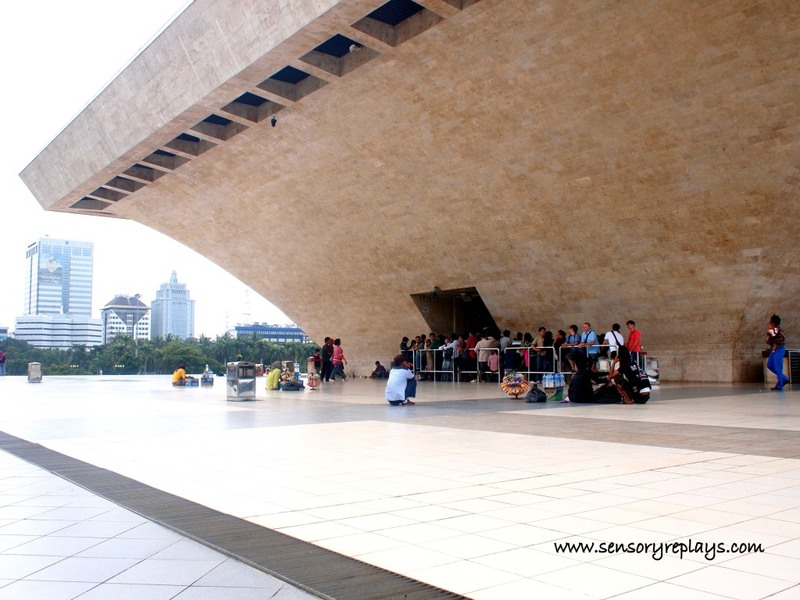 there is an observation deck in the tower where you have to pay another entrance fee. unfortunately the ticket counter was already closed at 3:00 pm and i was not able to get access. the monument is open to the public everyday, from 8:00 am to 3:00 pm. 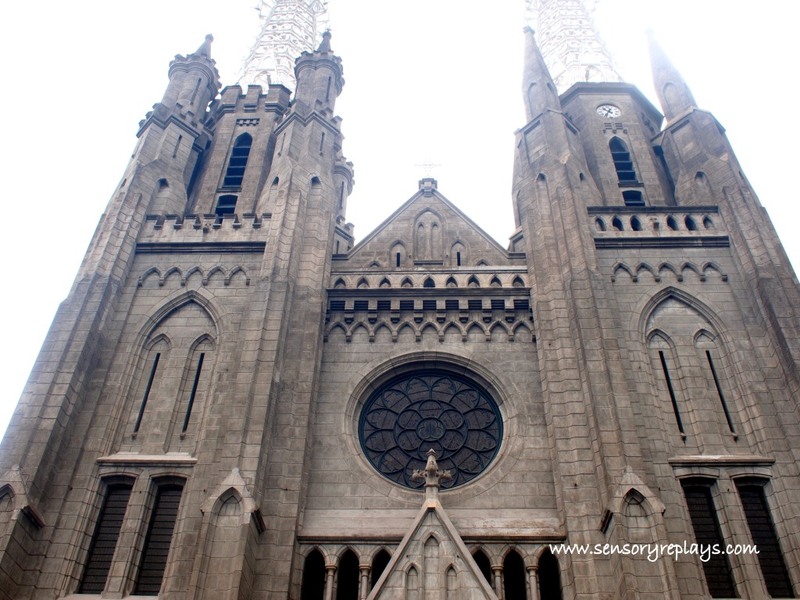 the next morning, i attended mass at jakarta cathedral ( gereja katedral jakarta). 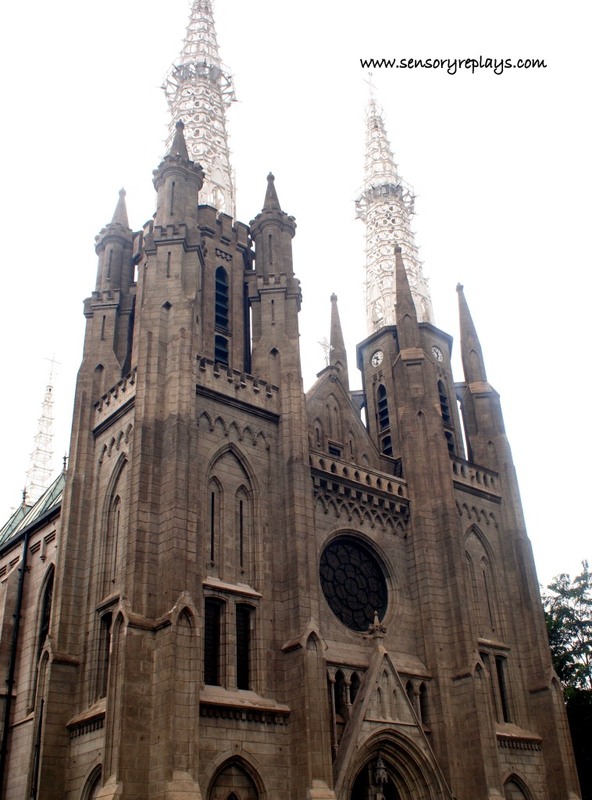 the cathedral is buit in neo-gothic style and was consecrated in 1901. there are three main spires where the two tallest ones measured 60 metres tall and are located in front on each side of the portal. 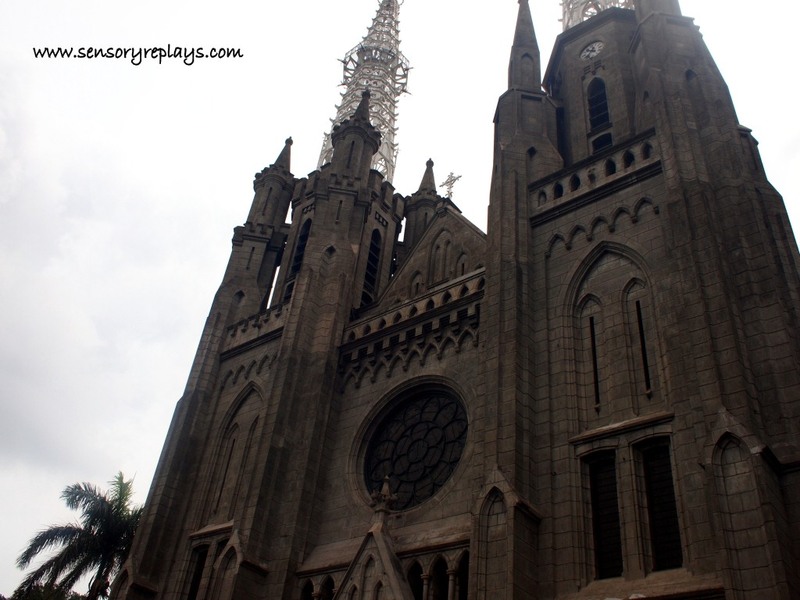 the buildings material consist of thick red bricks covered with plaster, roofs made of teak wood and the spires made of iron. the large round stained glass called as rozeta rosa mystica, is the symbol of mother mary. 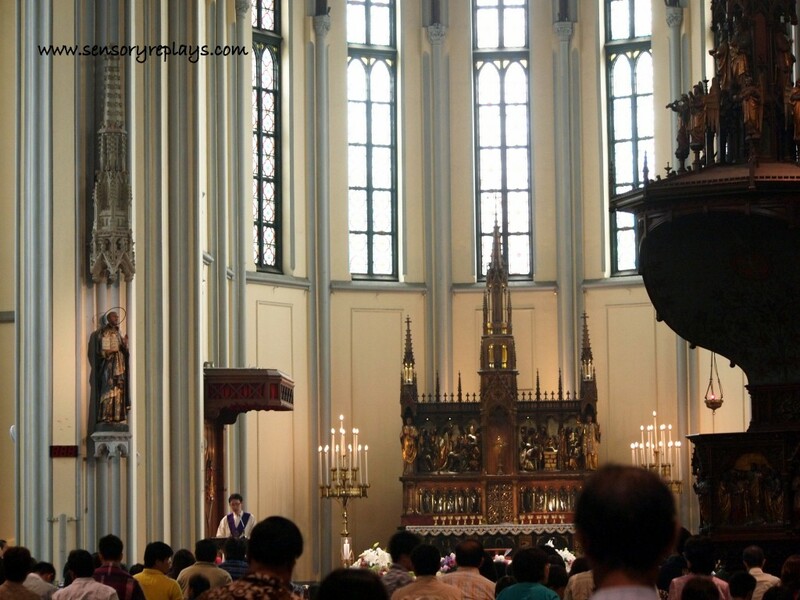 only 3% of indonesia’s population are catholics. 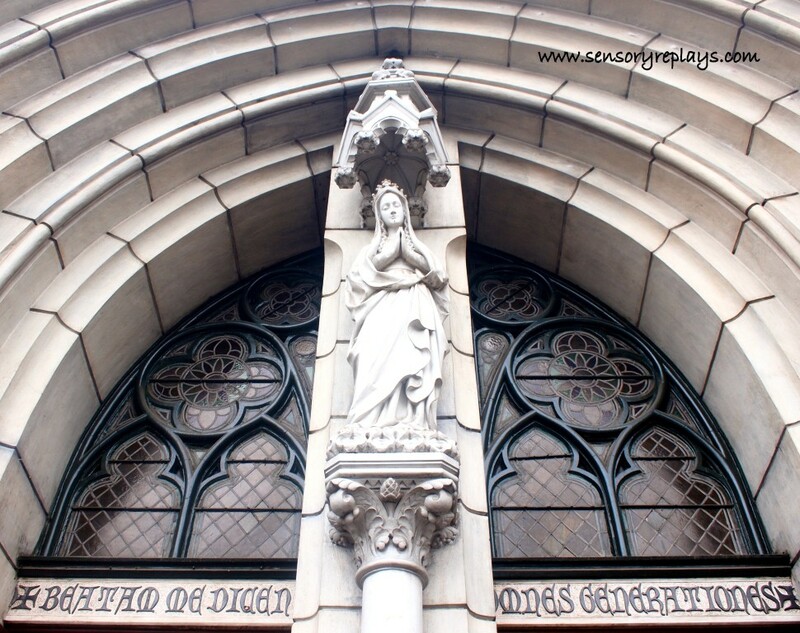 there is a statue of mother mary in the main entrance and a sentence written in latin: “beatam me dicentes omnes generationes” which means “all generations shall call me blessed”. after the mass was finished, i bought some wooden rosaries in the cathedral’s bookstore to bring back home for my ma. 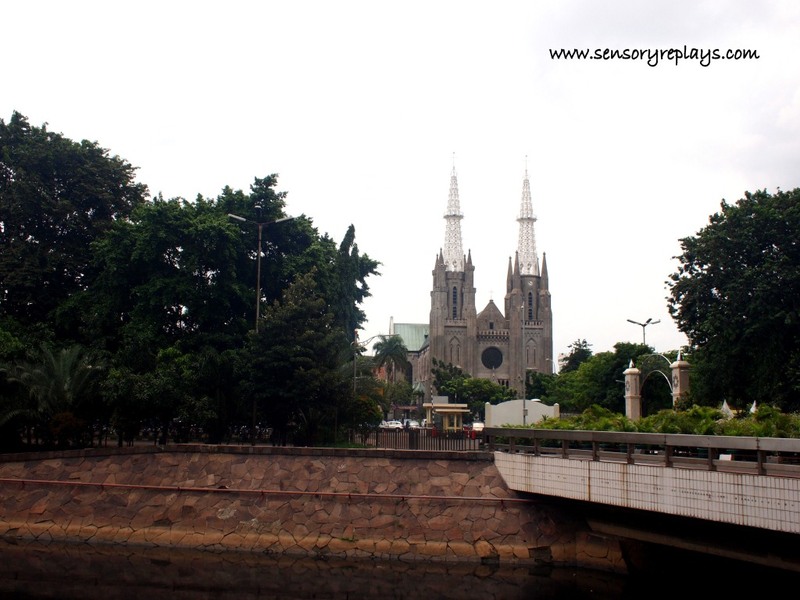 i took a picture of the cathedral from istiqlal mosque at the opposite road then took a taxi to surabaya street. This entry was posted in been there and tagged beatam me dicentes omnes generationes, central jakarta, flame of independence, gereja katedral jakarta, istiqlal mosque, jakarta cathedral, lingga and yoni, lone travelling, merdeka square, monas, monumen nasional, monument of indonesia, national history museum, national monument of indonesia, obelisk monument, rosa mystica, rozeta rosa mystica, solo travel. Bookmark the permalink. wow! ang ganda. i enjoyed the photo with the people under the tower. they look so tiny! .. haha, talagang yun ang napansin mo. sayang nga di ako nakaakyat dun sa deck. super lamang ka na sakin sa international travels! magkano budget mo per alis mo tsaka saan ka humahanap accommodations? .. mga 25k. yung accommodations usually sa tripadvisor ko nahahanap. uy indonesia naman ngaun. i went back and read some of your indo posts. galing. keep on travelling. and enjoy. .. i just travel when i can ewok! i enjoy travelling solo a lot, its fulfilling for me. naks, indonesia! lapit lang sa atin pero di ko pa marating. busy pa kasi ako sa kaiikot sa pinas hahaha! whereto next, rob? i kid you not, the photos in this set are eye-catching. .. talaga lang ha?! salamat, although till now automatic settings pa rin ako. hehe.